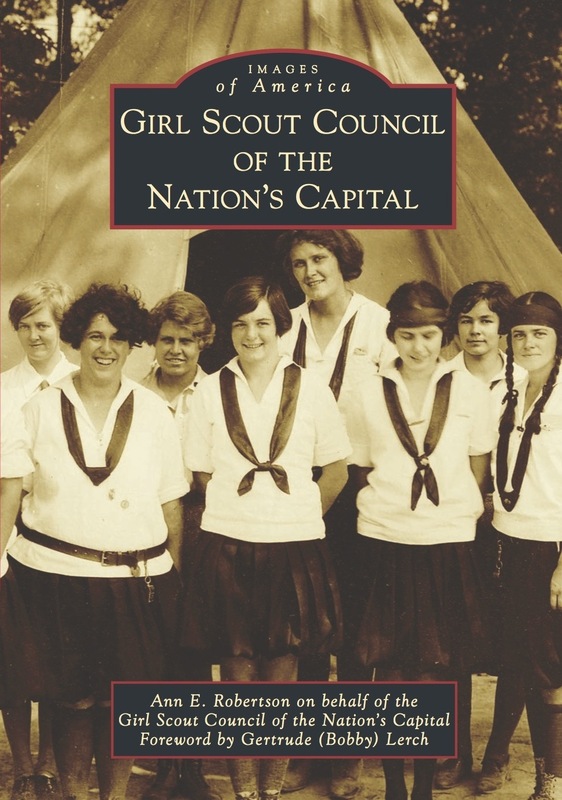 Just in time for the holidays, my new book, Girl Scout Council of the Nation’s Capital, was published on December 2, 2013. Retailing for $21.99, the book is available at the Nation’s Capital Girl Scout Shops, Amazon, Barnes and Noble, and other booksellers. The book shares 100 years of Girl Scout memories in the greater Washington, DC, region and commemorates the 50th anniversary of the Girl Scout Council of the Nation’s Capital. GSCNC was created in 1963 upon the merger of the Arlington, Alexandria, National Capital, Northern Virginia, and Southern Maryland councils. Girl Scouting came to Washington, DC, in June 1913 when Juliette Gordon Low decided her new girls empowerment movement needed a national headquarters. Although the headquarters moved to New York City in 1916, the council in Washington, DC, is still actively involved in the programs. Girl Scouts of the Nations Capital includes some 200 photographs that will rekindle memories of making new friends, earning badges, spending summer nights at Camp May Flather, taking road trips to Rockwood, attending freezing inaugural parades, hiking along the Chesapeake & Ohio Canal, and participating in enormous sing-alongs around the Washington Monument. This entry was posted in Book and tagged Camp May Flather, Girl Scout camps, Girl Scout Council of the Nation's Capital, Girl Scout history, Girl Scout memorabilia, Girl Scouts, Juliette Gordon Low, Rockwood. Bookmark the permalink.